While many people will have no trouble with their wisdom teeth, these teeth are often removed to prevent more serious issues like an abscess or cyst. These teeth generally begin to surface in the late teens to early 20s, and many times, they become impacted as they develop, growing sideways into the other teeth or angled forward. Wisdom teeth may erupt from the gum line or may still be set in the jaw. Teeth that are only partially erupted may present other issues as these teeth are difficult to clean and care for. Some extractions are done as a preventative measure to safeguard against changes in the alignment of the teeth during orthodontics or more serious complications. Dry socket: While dry socket will generally heal on its own, consult your dentist to expedite the healing process and to ensure there is no risk of infection. Nerve injury: The lingual and inferior alveolar nerves run near the surgical site and supply sensation and taste to the area. While nerve injuries are often temporary, nerve damage should never be overlooked, and you should contact your dentist as soon as possible. Damage to prior dental work: If your procedure has damaged any prior dental work, contact your dentist. This is a risk involved during any surgical procedure. Damage to surrounding areas: While it is rare, injury may occur around the sinus cavity or jaw depending on how the tooth was extracted. Any injury should be treated as a medical emergency. Again this too is a inherent risk involved in oral surgery. What should you be eating after Dental Surgery? For the first two days following surgery, try sticking to liquids and soft foods only. This is the perfect opportunity to indulge in milkshakes, ice cream, smoothies and pudding. Hurrah! No straws for those soft, yummy drinks though. Use a spoon or drink milkshakes and smoothies from a glass. Foods such as pasta, oatmeal, yogurt, mashed potatoes and refried beans are other soft food options. You should be able to resume a normal diet within seven days following surgery. In the first hours following surgery, be cautious of food temperature. You do not want to burn the inside of your mouth. Be aware. While the numbness wears off, you may not be able to sense the hot temperatures or feel the burning of hot food. Avoid tough or crunchy foods as well. Enjoy softer foods that require less chewing such as pasta, eggs and soft sandwiches. This will help you keep from biting your cheeks or tongue. Avoid any food that may contain seeds or nuts that can get stuck in the extraction sites. Your dentist or oral surgeon will perform the surgery and guide you through the oral surgery recovery process, too. If the pain following surgery continues to worsen, don’t hesitate to contact your dentist or surgeon. Also, contact your dentist or surgeon if you have any concerns about the surgery site, such as continued bleeding and irritation. Make sure that there are no complications and that you are healing. Your experience with oral surgery will vary based on how complicated the extraction performed is. 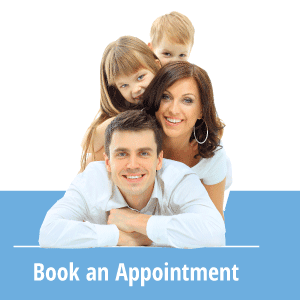 All procedures will begin with a consultation process where you will be shown any issues, current or potential, with your teeth along with a course of action. Regardless of the type of anesthetic used, you will experience numbness and possibly difficulty chewing or speaking following your procedure. However, this is only temporary. Recovery time will vary based on what type of procedure was used. A surgical extraction will require more time to heal. Inflammation is generally greater after surgery, so you may be given instructions for managing pain and swelling. Your dentist will provide you with a list of foods to avoid and how to care for your wounds during your recovery period. Bruising around the face or blood oozing from the wound is normal and will resolve in a few days. Your dentist may or may not use stitches to close the incision. Some stitches will dissolve on their own while others require a follow-up visit to remove. You will also need to abstain from smoking during the first 24 hours following surgery and should avoid activities that may loosen the blood clots, such as drinking through a straw or rinsing your mouth out.